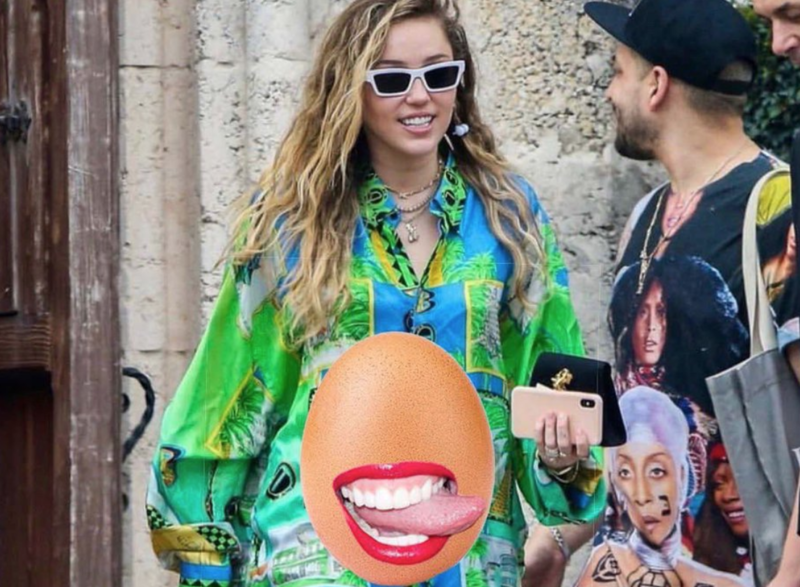 As if Miley Cyrus’ marriage to longtime boyfriend Liam Hemsworth wasn’t viral enough, Cyrus jumped onto the latest viral trend to put an end to pregnancy rumors. The Daily Mail is to blame for the rumor this time. A photo of Cyrus was tweeted in which she wore loose clothing and an unnamed source claimed she was pregnant. Later in the day, Cyrus responded to the claim with a statement you can’t egg-nore. You’ll get it in a second. “I’m not “Egg-xpecting” but it’s “egg-celent” to hear everyone is so “Happy For Us” …. We’re happy for us too! “Egg-cited” for this next chapter in our lives….,” she tweeted back at Daily Mail. “Now, can everyone leave me alone and go back to staring at an egg. 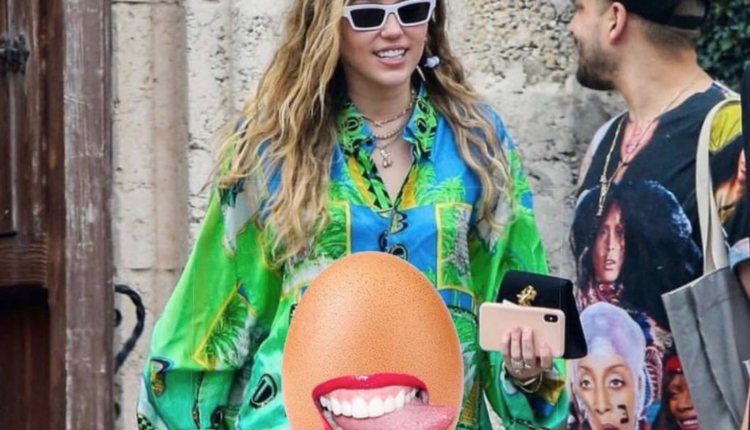 The tweet included the same image of her in a loose shirt, but this time with a photoshopped egg over her stomach and the iconic ‘Cyrus tongue-out’ phase tongue. The previously most liked photo on Instagram from Kylie Jenner was of her baby Stormi in February that has almost 19 million likes. The egg picture is at almost 48 million likes after being posted on January 4. The egg account harnessed the fame and released a merch line with six different apparel items. Cyrus seems to be eggs-hausted from all of the pregnancy rumors. What do you think of her response to the Daily Mail? Let us know in the captions or on Twitter at @WhatsTrending.